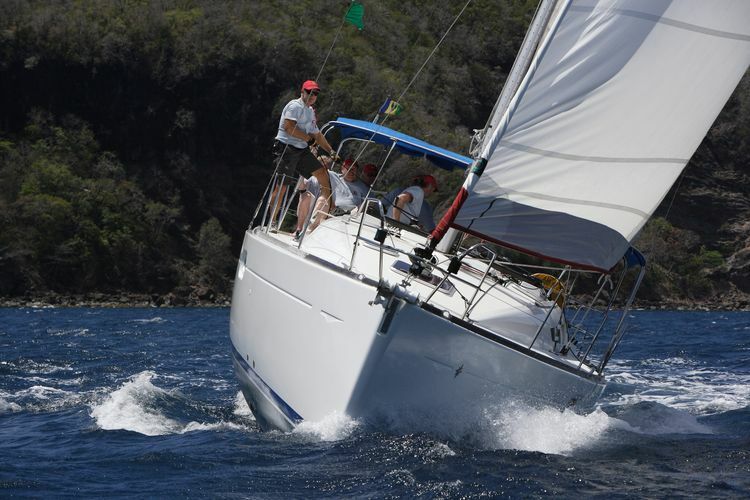 Sail the yacht races in Bequia Easter regatta with yacht Island Time. Whether you are an active racing sailing, enthusiastic amateur or just want to see regatta from up close, welcome aboard! You will be regatta crew, so you can go to all the after parties and get a Bequia Easter hat. Lunch and drinks included, $100 per person, minimum 3 persons. 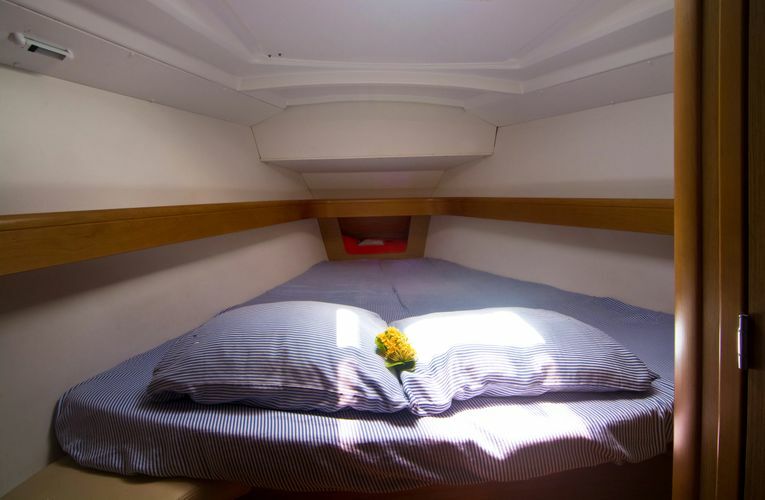 Island Time is a 42 ft Jeanneau Sun Odyssey. 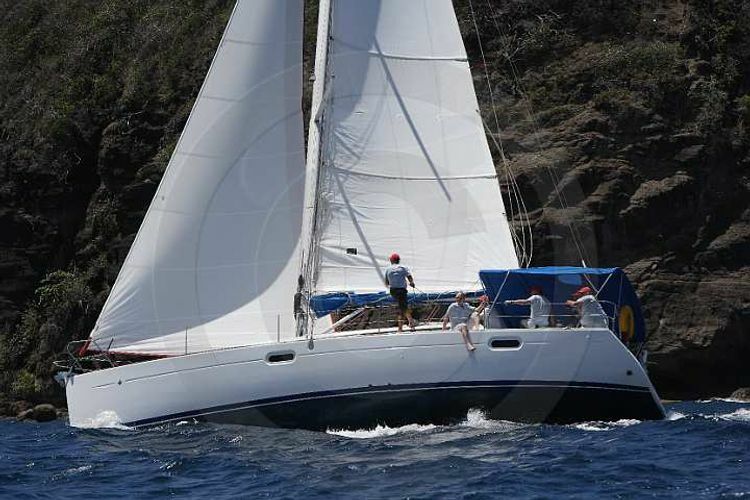 Being a relatively light displacement monohull she offers exhilarating and fast sailing performance. You are welcome to take the helm to experience this yourself! 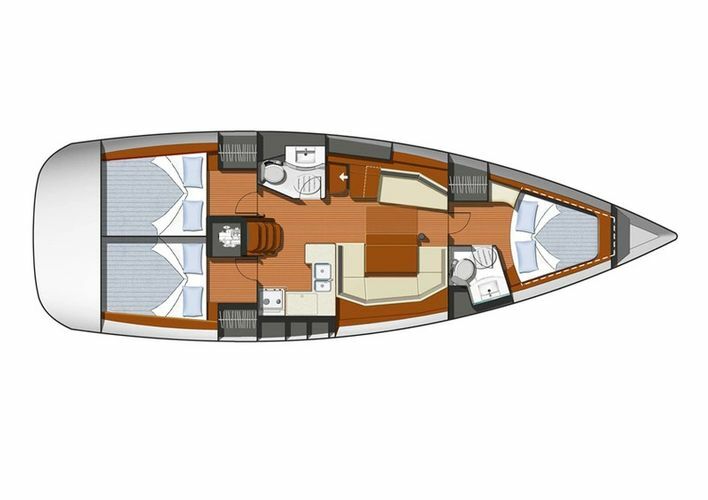 She has a wide beam and thus a very spacious cockpit and deck, making sail handling a breeze. 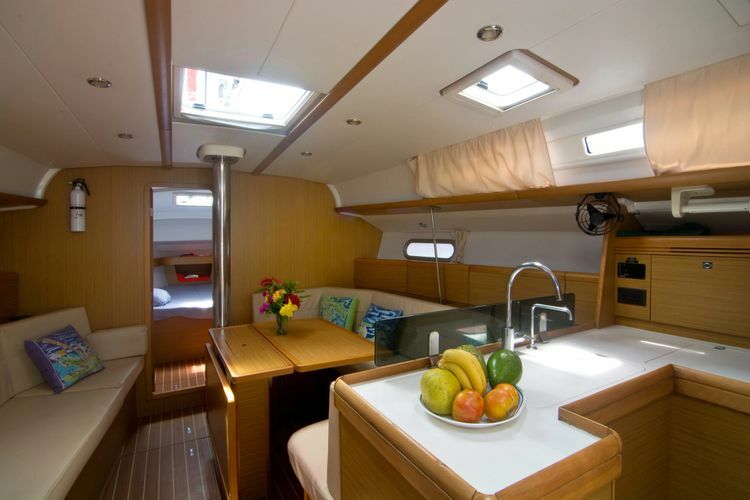 The cockpit is shaded by a bimini. 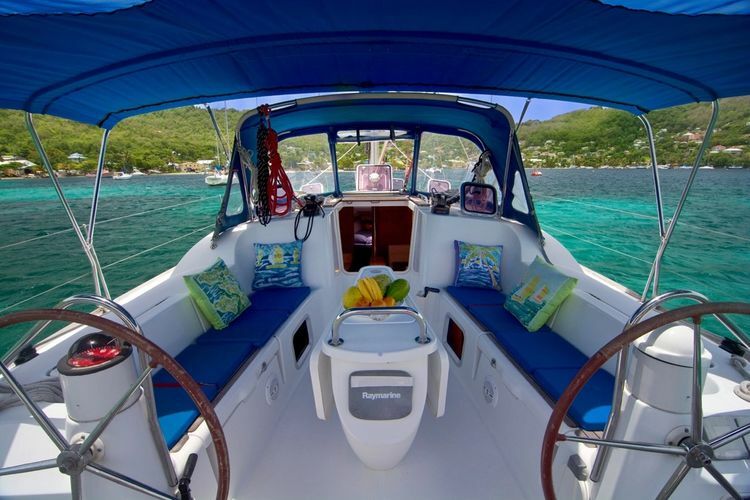 Island time specializes in shorter than a week sailing trips from Bequia at an affordable rate. Island Time has a bright and airy interior. Numerous opening hatches ensure that she is very well ventilated. 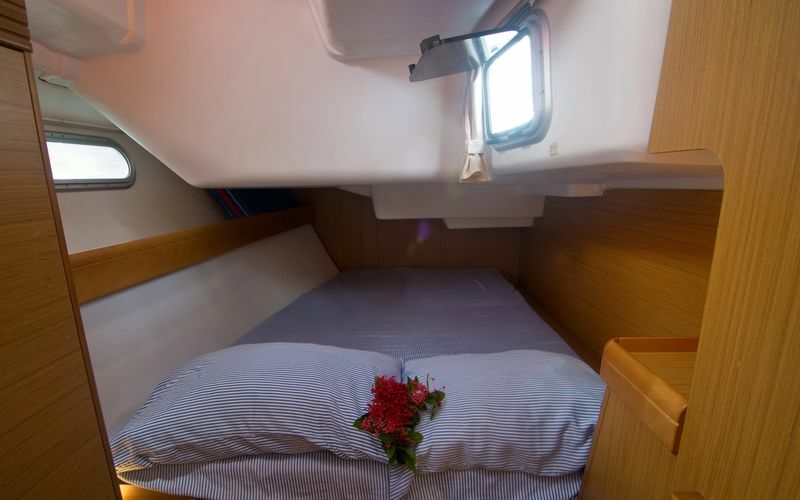 Island Time accommodates up to 4 guests in two cabins. These cabins share a bathroom. Crew has a separate bathroom. Your guide through the Grenadines is Roddy, also know as “Cap”. 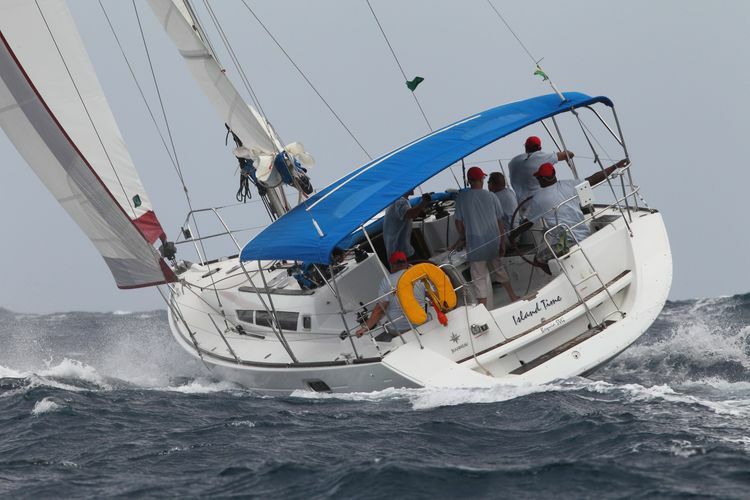 Born and raised in Bequia he started sailing, racing and boatbuilding at a very young age. He is one of the most, if not the most experienced captains from the Grenadines. Roddy knows the islands inside out, and will make sure you have a safe and delightful sailing adventure. Your chef (optional, captain only is possible too) will be Lou, she is also from Bequia and has been working as a cook on various yachts for decades. Cuisine will be “higher end” local, Roddy loves to fish and usually catches several meals! From $600 per day, multiply by number of sailing days.